Since the year 2000, the average U.S. household spending on healthcare has grown from $1,369 to $3,492. A whopping 255% increase! While a big chunk of that can be attributed to the rise in health insurance costs, one of the aspects many don’t consider is the steep increase in the cost of many prescription drugs. The striking thing is that this growth is generally not coming from new drugs with big research and development costs, but raising the price of currently offered medications. A recent report in the journal Health Affairs found that the cost of brand-name oral prescription drugs rose more than 9 percent a year from 2008 and 2016, while the annual cost of injectable drugs rose more than 15 percent. The price of insulin, for example, doubled between 2012 and 2016. While you could fill a whole book of why this is happening, and how it may be fixed, we decided it would be more helpful to our readers to give you tips on lowering the cost YOU PAY for your prescription drugs. You don’t really have an option when it comes to the prescription drugs you need. Your provider has your health in mind when they prescribe them to you. However, even with robust insurance, the cost of prescriptions can leave you a significant dent in your pocketbook., but with a little bit of research, there are things you can do to see major savings. 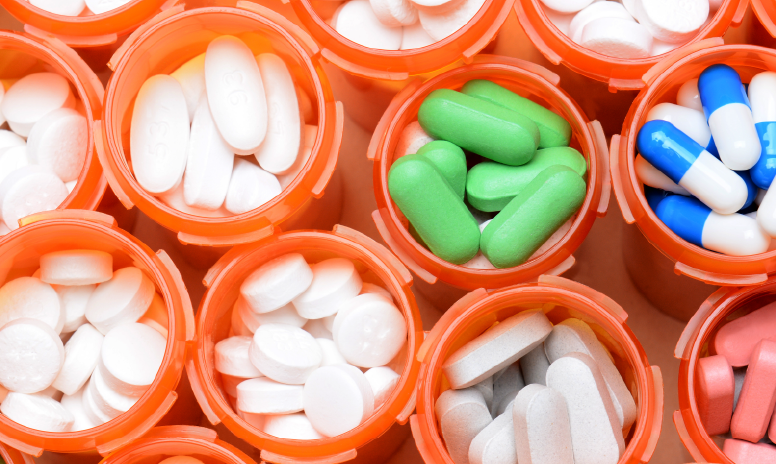 Depending on your needs, there are a number of ways that you can lower the price you pay for your prescription drugs. We have compiled a number of ways you can use to help save your family money. If you have a chronic issue, or need to take medication continuously, especially expensive medications, the easiest way to make sure you pay only a certain amount is through your health insurance. Making sure you have a health plan with a low deductible, and strong prescription drug coverage, can mean all the difference. Although its human nature to try and find the cheapest plan available, doing so may actually cost you more in the long run. If you have a series of expensive medications you should make sure that you check the schedule of benefits, and the formulary to see what those medications will end up costing in the end. If you do not have a lot of flexibility in choosing your health plan, or you have to wait several months to switch plans during Open Enrollment periods, this may not work for you. Don’t worry, there are other options. There are a number of companies that have negotiated or identified discounts for prescription drugs like GoodRX. When you sign up for these programs, you will enter your prescription drugs, and they will identify discounts you may be able to receive and help you find the right pharmacies. The discounts range by the drug, but many discount programs claim to offer discounts of up to 80% of the sticker price. You’ll be happy to know that these programs are easy to use, and many are based off of a mobile app. An option that many people don’t realize they can utilize is going to the pharmaceutical companies directly to get free or discounted drugs. If you can show that you cannot afford your prescriptions, many of the name brand drugs can become available through the pharmaceutical companies’ assistance programs. This is a great option for lower income individuals and families, but the process is slow, and there is no guarantee that you will be accepted. If there is an option for a generic version of your medications, you may want to swing by your local Sam’s Club or Costco. These retailers buy the prescription drugs in such high volumes that for many common medications, you could end up paying less than $10 a month. Even without health insurance! This is a great place to start when you need a prescription filled. You can even check their websites to see what these drugs would cost. Staying or getting healthy should always be your main concern, and you should always make sure you take your prescription drugs as prescribed. If you use these tools, you may be able to make the bill easier to swallow.